one happy little crafter: Hello....and Happy Wednesday! 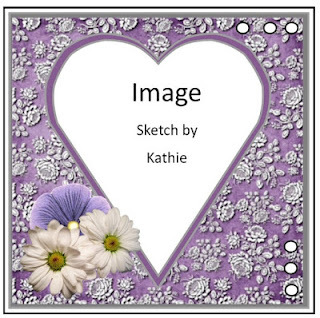 Hello my lovely blog chums, hope that post finds you well! This is pretty much me playing catch up today. 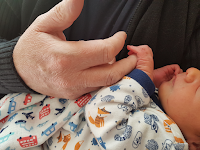 So you will know that hubby and I went on a little jaunt, to visit his daughter and her family in Scotland and to meet our new baby grandson. Well, we had a smashing time and fell completely in love this little fellow. The day after returning home we had to take our Daisy (our Jack Russell X Shih Tzu) to the vet for, what turned out to be quite a big operation. She had to have a unilateral mastectomy. For a little dog, she has quite some stitching there and did need a little extra care and attention over the weekend. She is recovering well though. So before I knew it, Monday had rolled around again, I was back to work and unfortunately not a bit of blogging had happened!!!! I thought, For you Ducky, would be an adorable image to play with and it actually adapted to the sketch really well. Even though I am late with this, there is still time to play along, so I do hope you will join us. I was lucky enough to be given a couple of packs House Mouse pre-printed images....and I thought this one would fit the theme perfectly. 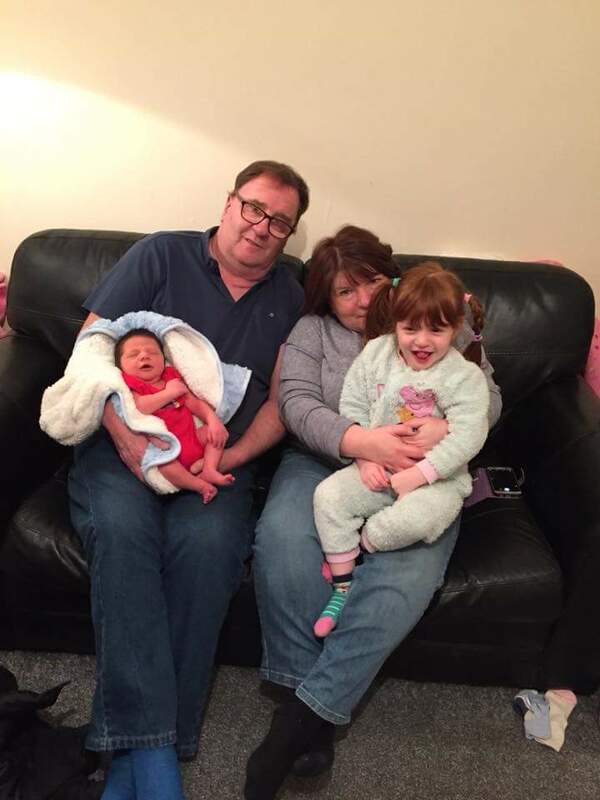 Alex with Nanny, Grandad and his big sister, Erin. Awww, what an absolutely darling! Gorgeous boy with lots of lovely hair too. Congratulations on becoming grandparents again. Love your family photo at the end of the post. Two wonderful cards! Great interpretations of the sketches. I am a bit of a sucker for Housemouse as they always make me smile. Congratulations and wonderful family photos. 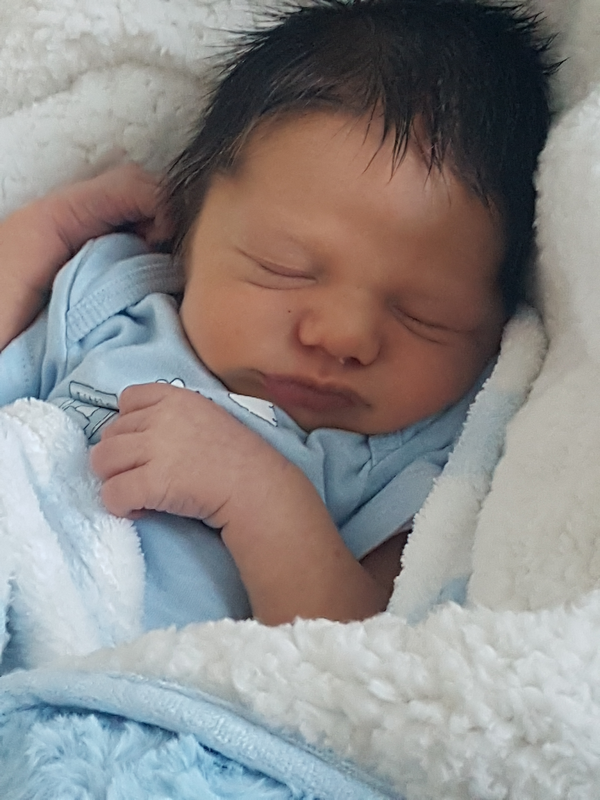 HAVE to comment about the handsome baby and what a wonderful and impressive Scottish name, I love it. Your cards are so lovely. Sorry to hear about Daisy, poor little dog. What gorgeous photos Lisa and many congratulations to you and your family. Love your SSW2 card, that duck is just so cute. Your new Grandson is adorable. Such a precious blessing. 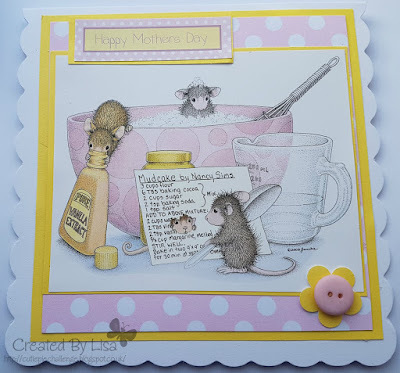 House Mouse image is so cute and love the card you made with it. Thanks for sharing it with us and joining the fun at the House Mouse and Friends Monday Challenge. Adorable mousey card Lisa and congrats on your new granson !! So glad you could play along with us at HMFMC !! Lovely cards you are sharing Lisa, and congrats with your new grandson. Thanks so much for joining our ATG/Spring Colors challenge at HM&FMC and good luck in the draw. Hi Lisa many congrats on your super sweet G/son adorable..Love this mousey card, fab spring like colours.. Thanks for sharing with us @ House Mouse & Friends Mon. chall. Christmas with the Cuties are back!! !